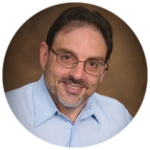 Steve Hocheiser is an experienced CPA who has worked extensively in private and public accounting. He founded Hocheiser CPA on the guiding principal that by working closely with business owners and individuals, comprehensive strategies can be developed to achieve their financial objectives. He uses timely, relevant, client-specific information to assist the client in making sound financial decisions. Steve works directly with each individual client. He is devoted to being a client’s primary financial advisor by developing a thorough understanding of the clients short and long term goals. This understanding combined with his diverse experience enables Steve to guide his clients in making educated decisions that will make their goals a reality. His professional experience includes more than 15 years as a senior financial executive for local manufacturing firms, business consulting, financial and tax planning, preparation of individual and business tax returns, and QuickBooks implementation and trouble shooting. The practice provides services for a wide variety of clientele including professional services, trades and construction services and commercial businesses. We work with firms in many industries including Internet and retail firms, construction, trades, and manufacturing, real estate, and professional services. Alexandra Boyd (Alex), our Office Manager joined Hocheiser CPA in 2015, combining 20 years of Financial, Project Management, and Personnel experience to our Firm. Alex maintains office services by organizing office operations and procedures. She communicates with all clients regarding their taxes and any other requests to assist them. She is responsible for running payroll services for all clients. Alex holds a B.A. from University of Massachusetts/Amherst. Janet joined Hocheiser CPA in 2016 as an Accountant. She provides QuickBooks bookkeeping services and QuickBooks training to clients in a variety of industries. 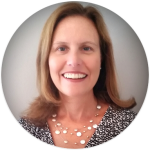 Janet has more than 10 years’ experience providing QuickBooks bookkeeping services to small companies. In addition, she has also worked as a staff accountant for several large companies. 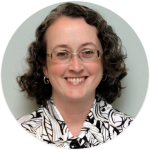 Janet holds an MBA in Corporate Finance from the University of Dallas and a BA in Economics from the University of Dallas and is also a Certified Quickbooks Advisor. Hiring an accountant is the first step to taking control of your finances, although many people don’t realize the impact that an experienced CPA can have on their business or personal finances. 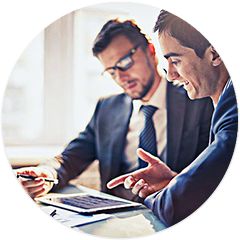 Working with the right accounting professional can set you up for success, because you will be able to make financial decisions based on detailed, specific, timely, and relevant information about your company and personal finances. Many people feel overwhelmed trying to keep up with their accounting needs, and there is no reason to stress over the process when you can hire a CPA to handle it for you. An accountant has the experience and qualifications to take care of your accounting needs, and can help with everything from basic accounting services such as bookkeeping and payroll, to more advanced projects including small business consulting or CFO services.